For those of you who don’t know, California (and some other states) used to be part of Mexico. 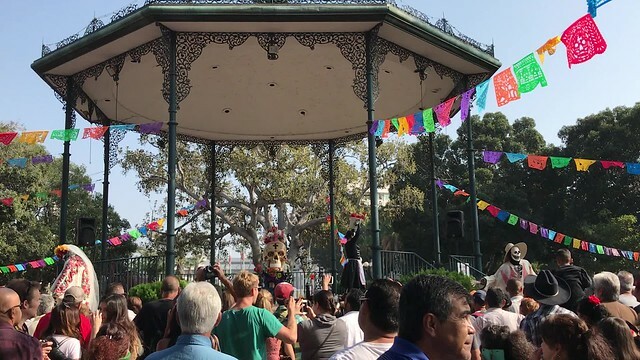 It’s no wonder, then, that Mexican and Hispanic cultural influences are very prominent in many cities across California, and Los Angeles is no exception. 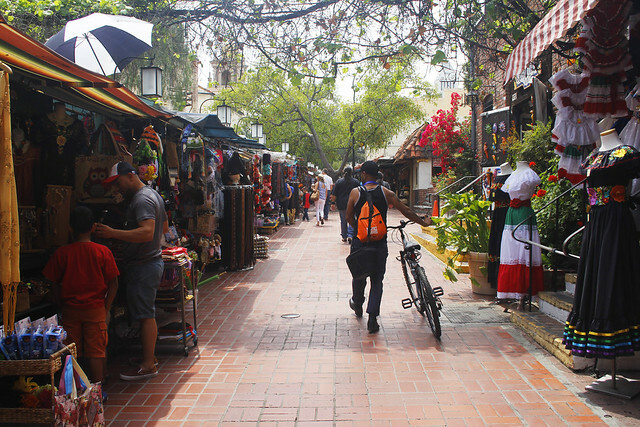 El Pueblo de Los Angeles is one of those parts of LA that still preserves what the city looked and felt like years ago before it was transformed into an ultramodern metropolis. 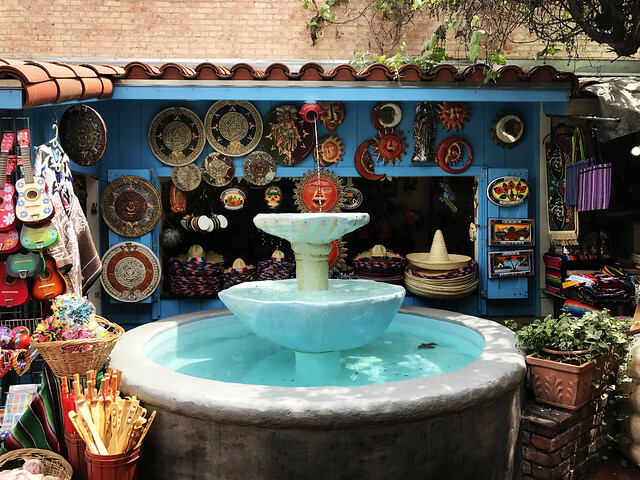 The most famous – and touristy – part of this place is Olvera Street, located just a short walk away from LA’s historic colonial-style Union Station. 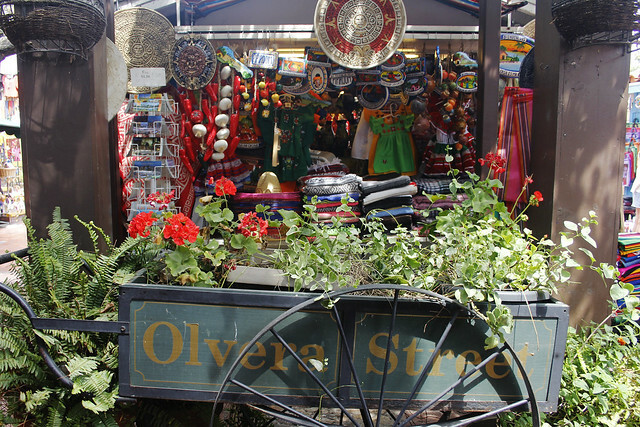 Olvera Street is filled with vendors of all kinds, selling food, drinks, clothes and souvenirs. Brightly-colored fountains dot the landscape with countless coins glinting in their waters, holding the wishes of hundreds who pass by. 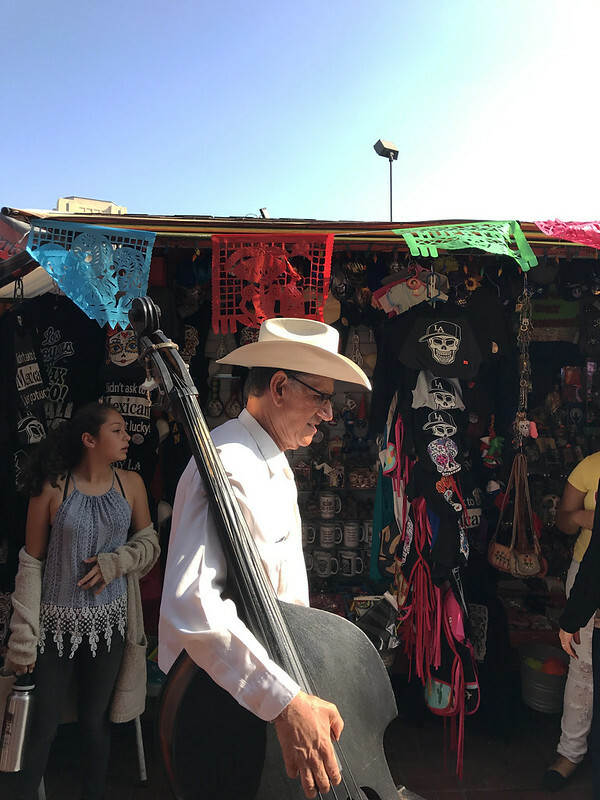 Musicians walk by from time to time, their music floating in the air and mingling with the scent of freshly-cooked tamales. 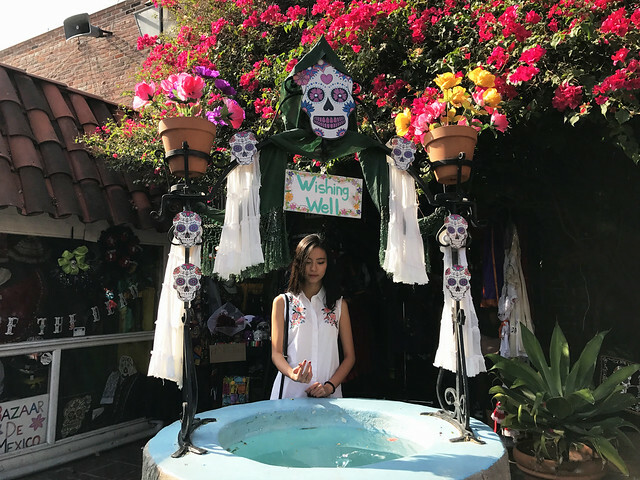 We most recently went there during Day of the Dead (Dias de los Muertos) festivities, which transformed the place into a colorful and otherworldly experience. Walking out of Union Station, we could hear music from the main square. Here’s a little bit about the Day of the Dead celebration. 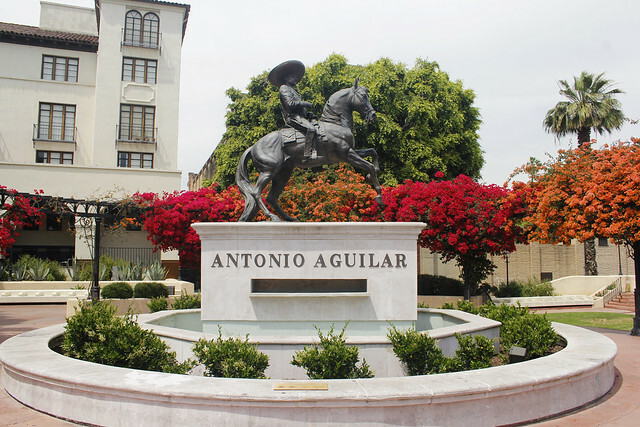 It began in Mexico to honor the dead long before the Spanish came. It originated from an Aztec festival and has spread around the world since. It’s now a national symbol and is celebrated on November 1st. The street was packed with people. 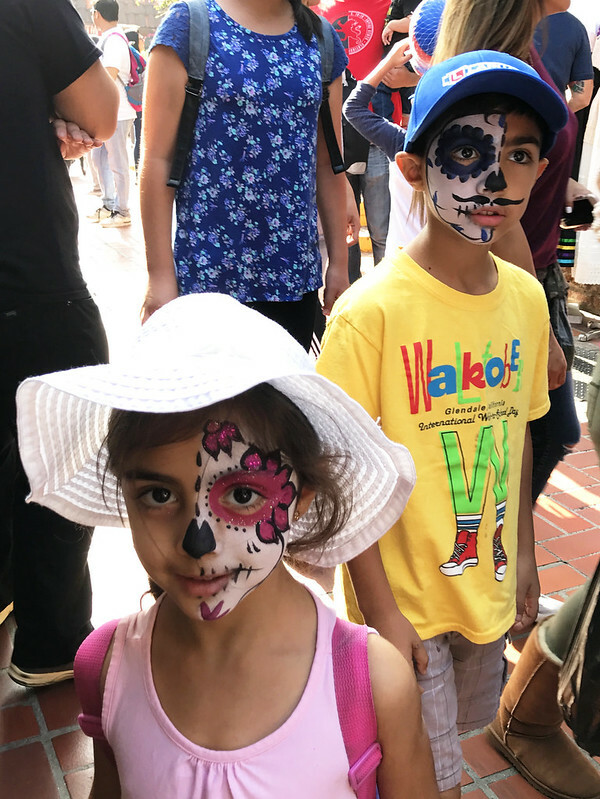 Children ran around with flowers in their hair and their faces painted with Catrina makeup. 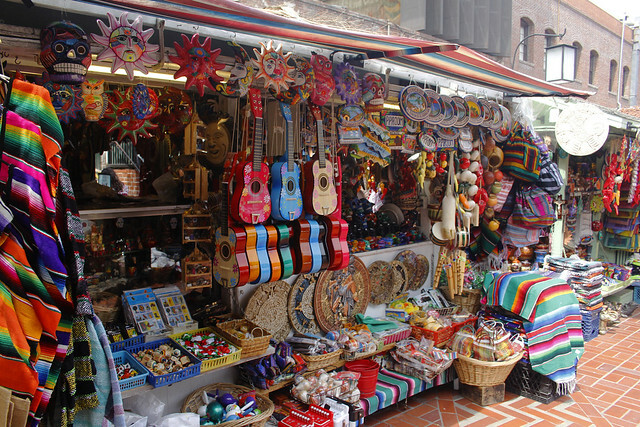 The stores sold special items, from sugar skull candles to flowers to decorations for the celebration. 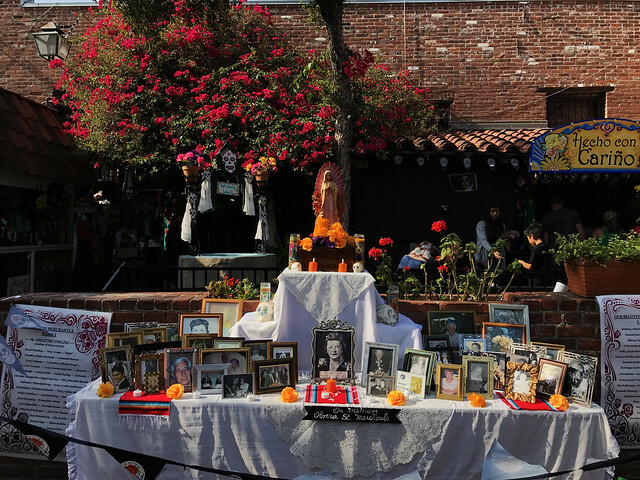 We could see many ofrendas, or altars for the dead. Each shrine was prepared beautifully, filled with flowers, food and gifts. There were beautiful performances- dances, singing, dramas- all of them in Spanish. We wished we could understand, but even without speaking the language, the performance touched us profoundly. Let us know about your Day of the Dead experience! 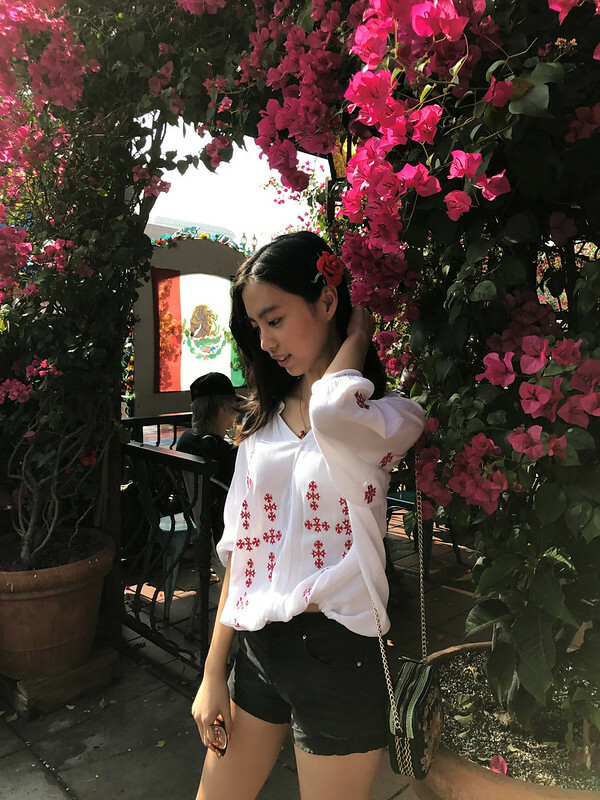 This entry was posted in People and Culture and tagged california, culture, downtown la, dtla, el pueblo de los angeles, history, inspiration, la diaries, los angeles, mypassengerdiaries, mypassengerdiaries travel blog, olvera street, personal experience, photography, urban travel, usadiaries. Bookmark the permalink. Thank you! 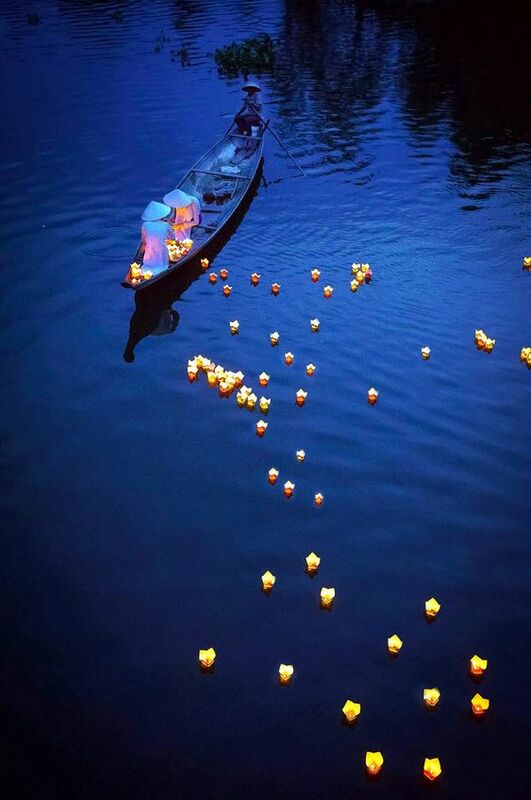 The whole celebration was visually stunning…no picture can capture its true beauty. 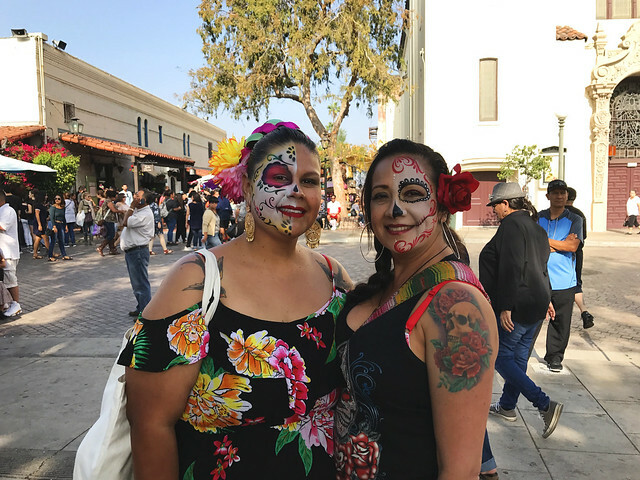 I enjoyed your post – beautiful photos, excellent coverage of the Day of the Dead. Good job! Thank you! This was a real visual treat. You brought us a little known aspect of LA to our attention (at least outside the State of California). Well done! Thank you! It was hard to choose from all the photos we took, as the decorations and people were just breathtakingly beautiful. We were in California visiting my sister during this time and it was very nice to see the flowers and celebrations . Nicely stated. I️ hope you are following my blogs as well. Thank you! Glad to hear that you had a great time in California.